Fort, tent, teepee, or playhouse. Whatever the name, kids love a hideout to call their own. Maybe it’s a place to make mud pies, gather a gang of friends, read or make-believe. While the activities may vary, playhouses create a space for kids’ imaginations to run wild. They are also an excellent way to foster independence and help build self-esteem. So why not go beyond stringing up bed sheets and encourage your child’s creativity year-round with a durable outdoor playhouse. Need inspiration? Just contact us or have a look at the many pictures sent to us. 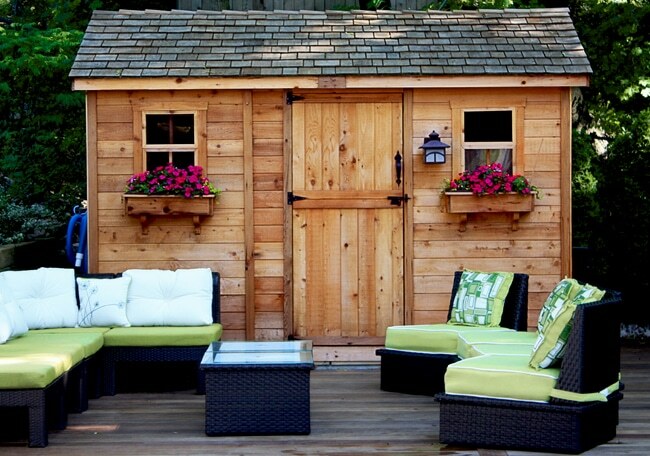 Create your own backyard adventure space at Outdoor Living Today.